We are a leading Wholesale Distributor of linear shaft support and hardened ground linear shafts from Mumbai, India. We are counted amongst the leading names of excellent quality Linear Shaft Support. The offered linear shaft support is manufactured by utilizing supreme quality materials with the aid of latest techniques under the supervision of skills professionals at vendor end. 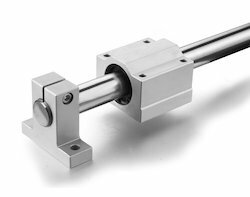 This linear shaft support is made up of aluminum and used on various machines. In addition to this, the offered linear shaft support can be available to our clients in various specifications at reasonable prices. We are acknowledged in the industry for offering Hardened Ground Linear Shafts. Our latest product range of ground linear shafts is appreciated for its durable quality. We manufacture our entire range of ground linear shafts by using premium quality of raw materials in the advanced manufacturing unit. 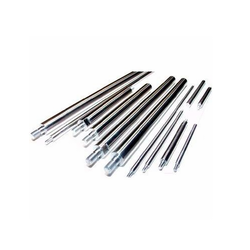 These ground linear shafts are available in a wide range of length and dimensions. Ground Linear Shafts offered by us can be availed by our clients at leading market price.